Shirley Gu has 15 years of experience in marketing, sales and business management in the specialty chemicals industry in Asia. Prior to joining CLEARink Displays, Ms. Gu worked for Lord Corporation as General Manager where she oversaw double digit growth in their automotive business in the Asia Pacific region. Prior to Lord Corporation, Ms. Gu worked at NCM Hersbit Chemical Company, where she led sales and business development, focusing on automotive, battery and electronic packaging industries. 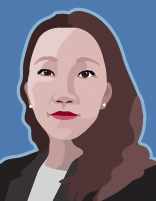 Ms. Gu holds a MBA from Fudan University, and a Bachelor of Chemical Engineering degree from Dong Hua University in China.